My internship is unfortunately over; maximal length of 18 months was reached in the end of November 2015 and I left Switzerland on Tuesday 15th December 2015. Now, I’m back in the Czech Republic. I had really great time in Switzerland and I met there amazing people from all around the world. I must thank AIESEC for their help and the opportunities they are offering. It’s very easy to go abroad thanks to their work. Leaving Basel and Switzerland was very very hard and sad for me. Partially may be even harder to leave Switzerland then to come there in spring 2014, because I had to say goodbye and leave behind all friends and colleagues from work – I will write separate blog post about work soon. I hope, I will meet again in the near future. May be on Fasnacht in February, but it is hard to say it now. I would like to return to Switzerland time to time in the future, because Switzerland is a wonderful country with amazing mountains and great food. 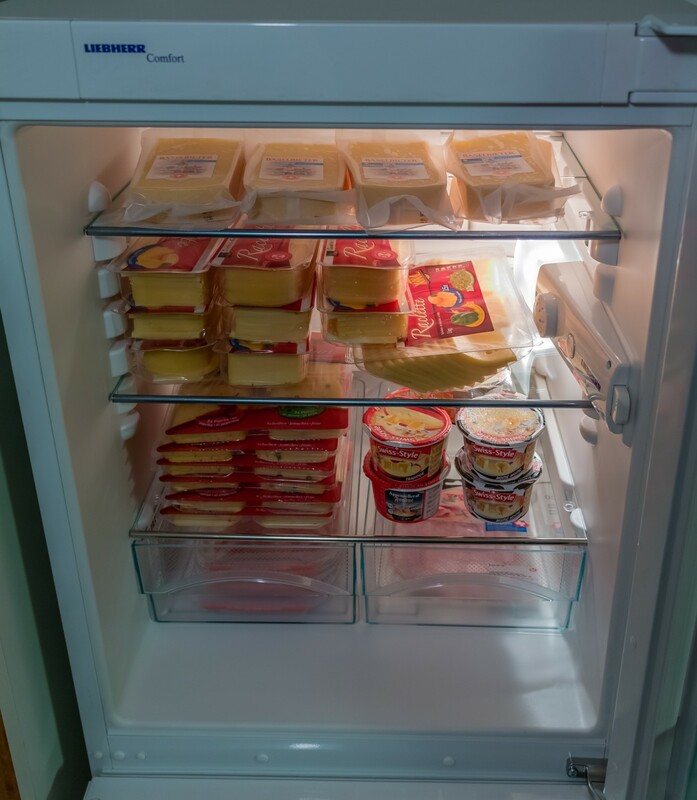 Before my departure, I bought some souvenirs – on the picture, you will see more than 10 kg of Swiss cheese! I wanted to stay in Switzerland, but the company, where I was working, couldn’t offer me full-time position and it wasn’t possible to extend my internship. When I was looking for different job, I found out it was a really big mistake I didn’t start to learn German, when I came there in the beginning. Originally, I wanted to stay there 6 months and then go back, so I didn’t consider it at all and when I realized, I would like to stay “forever”, it was too late. My German is basic and I’m able to communicate in German only when I really have to by using my hands and legs or with some common phrases like ein stück zum mitnehmen bitte while buying take away pizza at Migros for lunch. Many companies unfortunately requested fluent German because of their customers. Of course, not all companies, I had some opportunities, but I rejected them all. I had a “rule” I will accept only the job, which I would accept in the Czech Republic – I didn’t want accept a job just because it’s in Switzerland. I hope it wasn’t a mistake. I would definitely recommend to everybody to go on some internship abroad. It was a great life experience! I could also compare life in two different countries, well, Switzerland is mostly better. If you are not so sure, you can sign for a shorter one and then you can extend you contract – originally I should stay in Switzerland only 6 months.